The number of victims of Hurricane “Michael” that struck on Wednesday, October 10, in the US state of Florida as a hurricane of the 4th category of power, reached 13 people. The maximum wind speed at the time of going to land reached 250 km / h. Thus, “Michael” became the most powerful hurricane in the history of northwestern Florida, where the element left serious damage: houses were destroyed, streets were flooded, trees uprooted. 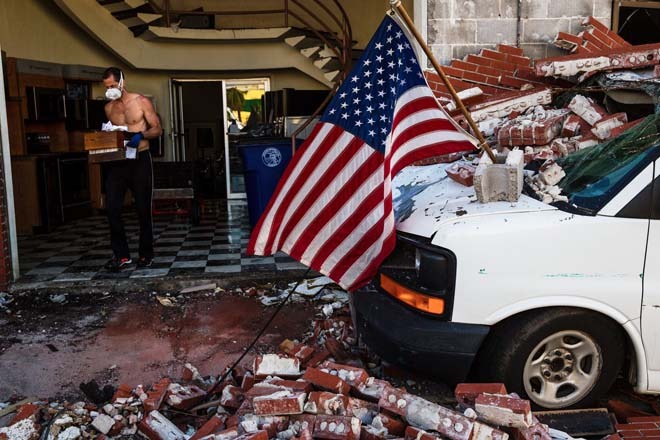 Much of Florida’s northwest coast, including the cities of Mexico Beach and Panama City, has remained in ruins. The region is littered with small rural communities, some of which are very poor. Weakened to a tropical storm, “Michael” was also in the states of Georgia, North and South Carolina and Virginia. At least 1.5 million people were left without electricity in the states stretching from Florida to Virginia. Previous story Gravity pushes Etna towards the sea and it is dangerous.